Here's our first look at the Air Jordan 2011 Player Exclusive Ray Allen will be wearing in tonight's All-Star Game. After becoming the all-time 3-Point King earlier this month, Boston Celtics shooting guard Ray Allen will take the court at Staples Center tonight in his 10th All-Star Game as a reserve for the Eastern Conference. 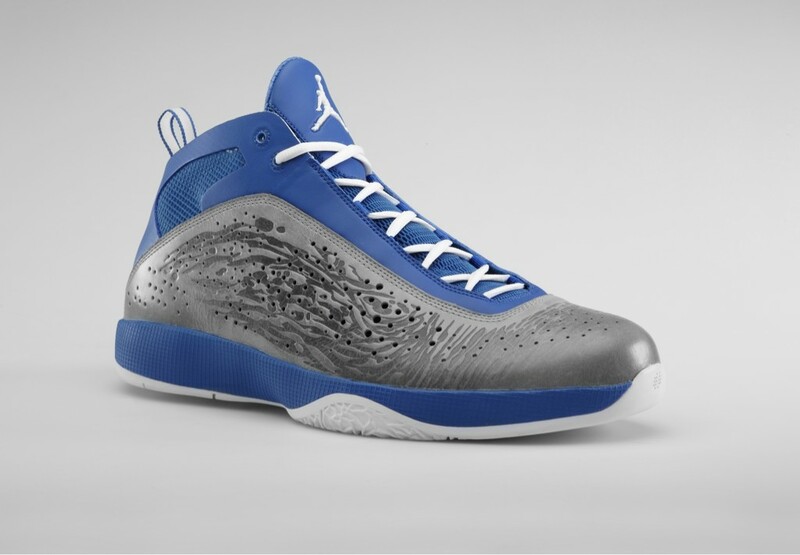 For the game, Ray will be wearing a Player Exclusive colorway of the newly released Air Jordan 2011. Ray's All-Star shoe features a royal blue leather base with grey handcrafted Patina leather wrapped from heel to toe. White accents the look on the laces, Jumpman branding, heel-pull and outsole. The game is about to tip-off, so keep an eye out for Ray's feet, which will surely be somewhere behind the three-point line.